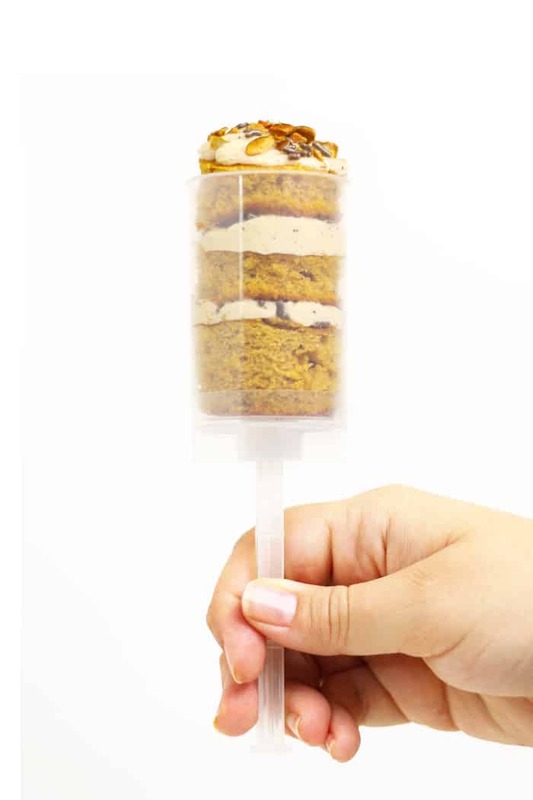 Feel like a kid again with Pumpkin Spice Cake Push Pops! 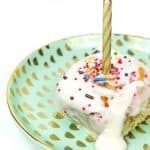 These fun, interactive cupcake pops feature a decadent brown butter bourbon pumpkin cream cheese frosting featuring Bruegger’s Bagels Pumpkin Cream Cheese. This post is sponsored by Bruegger’s Bagels. Something about fall makes me feel like such a kid. I am so ready to jump into a pile of leaves and to stomp through rain puddles. There’s something about those simple childhood pleasures that bring such joy to us as adults. Nostalgia, maybe. One thing that gave me that same joyous feeling was something I tried this summer: a cake push pop. I saw it in a local food market when I was traveling in D.C., and I just had to buy one. It made me think of those orange sherbet push pops I used to enjoy in the summertime. Every few licks, you’d have to gently push the pop up, like a chapstick, to get more. With cake, it’s the same, only you get alternating layers of frosting and cake as you push up the pop. I looked online and found out you could actually buy the push pop holders, so I decided to give it a go with a recipe for Pumpkin Spice Cake Push Pops. I incorporated Bruegger’s Bagels Pumpkin Cream Cheese into a super delicious frosting. These puppies are so much fun! I handed them out to friends at a party and everyone was excited to eat these little cakes. They’re so, so cute, and they bring everyone that excited, kid-like, nostalgic joy. Plus, the ones I bought come with a little push pop holder stand which make for easy transport and a great presentation at a party. 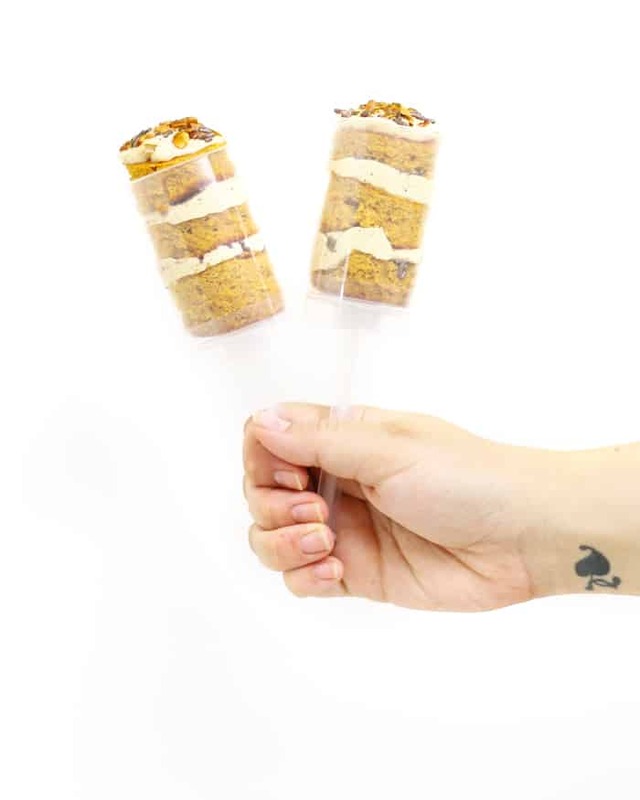 Also, can we talk about the flavors in these Pumpkin Spice Cake Push Pops? 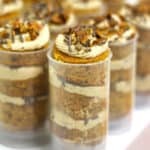 The cake is a classic pumpkin spice cake. 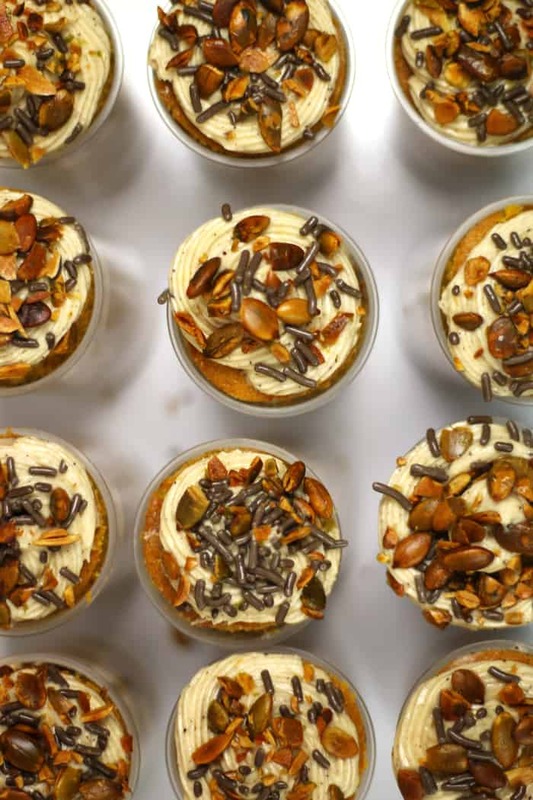 You’ll need canned pumpkin and a few jars from your spice cabinet to make it. 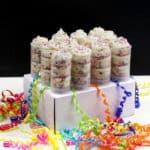 To make the layers, you can use a cupcake pan and then slice the cupcakes horizontally to fit into the push pop holders. Or, you can do like I did and make a sheet cake, then cut out circles with a circular biscuit cutter. (I froze the scraps and I have plans for a trifle later!) 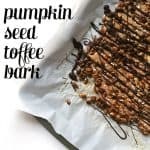 The toppings I used were chocolate sprinkles and roasted pumpkin seeds. Cocoa nibs or mini chocolate chips would also be delicious! Disclosure: I received free Breugger’s Bagels cream cheese and monetary compensation as part of creating this recipe. Also, this post contains affiliate links. If you click on one and buy something we receive a small commission at no additional cost to you. As always, all opinions and recipe are my own. Thanks for supporting the brands that support Feast + West! 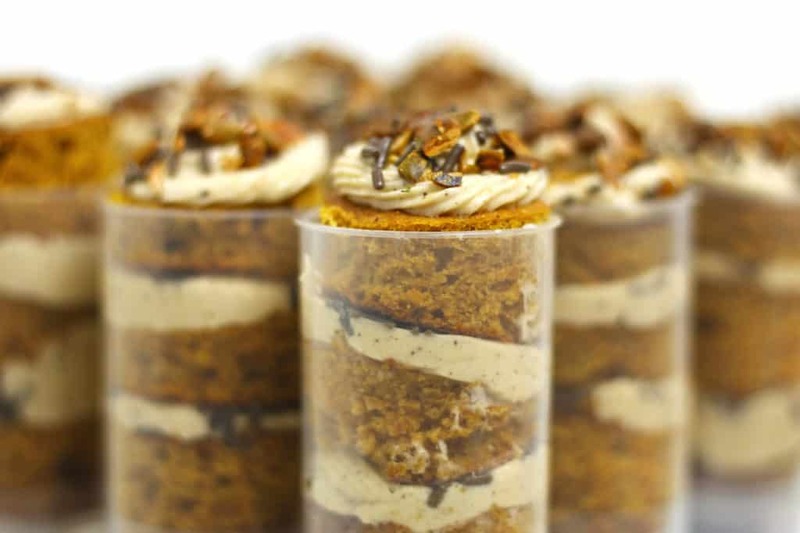 Celebrate fall days with Pumpkin Spice Cake Push Pops with Brown Butter Bourbon Pumpkin Spice Cream Cheese Frosting! Preheat oven to 350°F. Grease one 12×18-inch sheet pan, two 9×12-inch sheet pans or 24 cupcake tins. In a medium bowl, whisk together flour, baking soda, baking powder, salt, cinnamon, ginger, nutmeg and allspice. In the bowl of an electric mixer, combine sugars, melted butter and eggs until well mixed. Gradually stir in dry ingredient mixture until combined. Stir in pumpkin puree until incorporated. Pour batter into sheet pans or tins, filling about 3/4 inches deep. Bake for 20 to 25 minutes or until a toothpick inserted comes out clean. Cool completely on a wire rack. While the cakes cool, make the frosting. In a medium skillet, heat the butter on low heat until melted. Stir occasionally until butter turns frothy, then stir continuously. Allow the butter to turn brown with dark specks; it will smell nutty. Remove from heat and let cool. 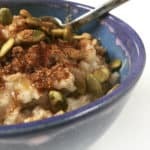 In the bowl of an electric mixer, combine browned butter, Bruegger’s Bagels Pumpkin Cream Cheese, bourbon, vanilla, confectioners’ sugar and heavy cream. Beat until smooth. Refrigerate for 30 minutes to firm up. Prepare a piping bag with a star nozzle and fill with frosting. To make a push pop, place one cake circle in the base of the push-pop containers. Working in a circular motion, top the cake circle with a swirl of frosting. Top with a pinch of chocolate sprinkles. Add another cake circle, frosting and more sprinkles. 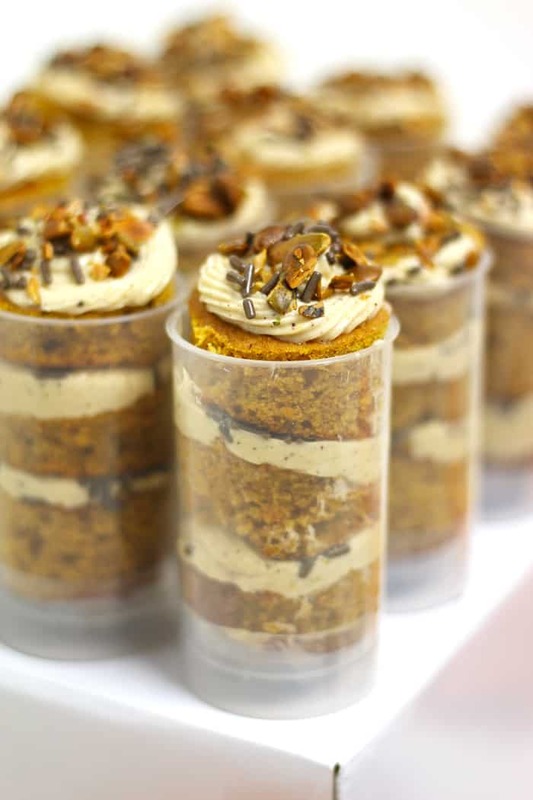 Repeat once more (three layers total) and top with both sprinkles and pumpkin seeds. Serve or cover with lids if not enjoying right away. Enter to win one of two $10 Breugger’s Bagels gift cards! Details below. Enter the giveaway through the Rafflecopter widget below. Everyone gets a free entry! You can enter multiple times, up to 8 total entries by following the giveaway sponsors on social media. (If you’ve followed in the past, that counts! Just enter the information as prompted.) All entries will be verified. No purchase is necessary to win. The giveaway is open until Friday, October 14, 2016 at 11:59 a.m. EST. Two winners will be chosen at random and e-mailed within 48 hours. Winners must claim prize within 48 hours of initial contact or another winner will be selected. The retail value of the prizes is $10 each. Prizes listed above are the only ones available. Open to U.S. residents with a valid shipping address only. Must be 18 years of age as of October 7, 2016. To read all giveaway terms and conditions, click the option in the Rafflecopter widget below to review them. 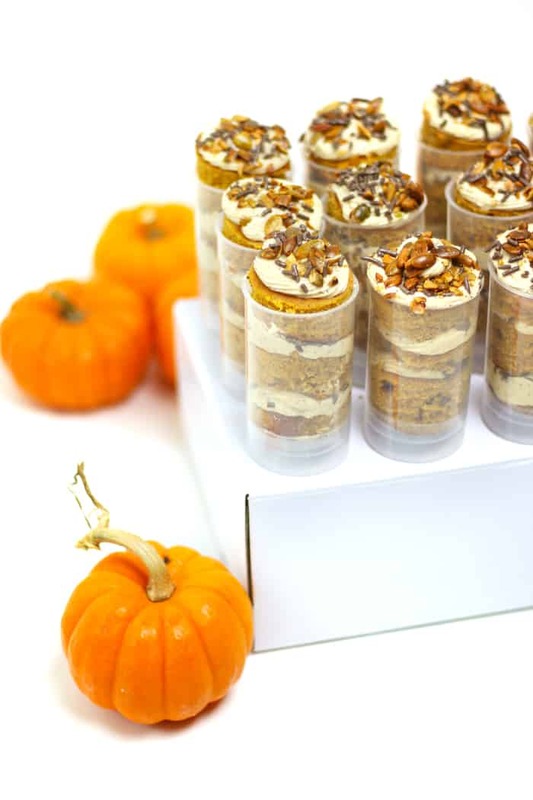 Pin these Pumpkin Spice Cake Push Pops! My fav childhood dessert was rice krispy treats. I loved anything with almond paste, marzipan, cookies with almond paste. I like to make my own marzipan, too, as a kid, and make fruit shapes. I have a bunch of popsicle forms, and love making popsicles. I haven’t made push pops, and using cake and cream cheese like this is so cute! 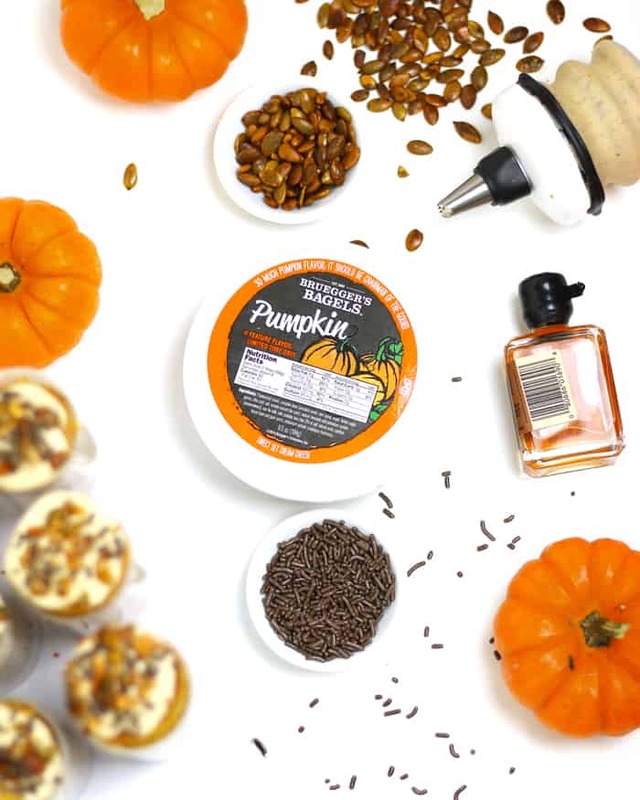 I want to try their pumpkin cream cheese! These came out so special! It would be fun for the kids at the holidays! It makes regular cake seem so old fashioned! My favorite childhood dessert was peach pie. I always liked rice krispy treats.